Our range of stylish soffits will enhance any home and is available in colours and styles to suit all tastes. Boards are easy to fit and are fully compatible with our fascia systems for an exact colour match. The colours precisely match our windows and door systems too. 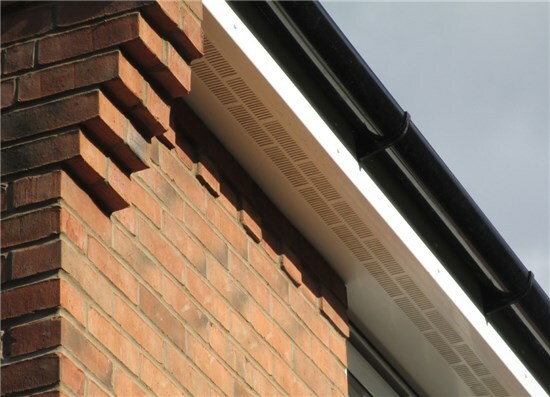 uPVC fascias & soffits bring new meaning to the term ‘low maintenance’. The colour extends throughout the entire depth of the material, so they will not fade and do not require painting or repainting. They are tough on impact, and will not rust, crack, warp or rot. uPVC fascias & soffits are a particular favourite in areas with harsh weather conditions, because they are water and wind resistant. Furthermore, they are fire, insect, and vermin resistant. Finally, uPVC fascias & soffits are lightweight and highly cost effective.